Water is necessary for survival. We are privileged to be inhabitants of the blue planet, Earth. There is no doubt that water is a precious resource. In fact, presence of water has made life possible on our planet. However, the debilitating effect of human-beings has brought our planet to the brink of disaster. If we continue at the present alarming rate, we will be responsible for gifting ourselves a horrendous fate. Mindless misuse and pollution may make us lament like Coleridge's Ancient Mariner - "Water, water, everywhere, Nor any drop to drink." Water woes and Water wars have already begun. With massive industrialization and hasty development at the cost of environmental rules and policies, severe climate change is a sad reality. The future of water-consumption can be hazy unless concrete steps are taken now. Our rivers are drying up and biodiversity is at severe risk. Sadly, this is true for many rivers. The view from the window-seat of an aeroplane is terrible as dry-land greets us. Water conservation is a must. Plantation of trees can help revive the rivers and maintain the balance. Isha Foundation's initiative-'Rally For Rivers' is a step in the right direction. Many states of India have already pledged support. Rain-water harvesting should be compulsory for all the upcoming buildings and projects. The existing homes and apartment-complexes must invest in this to enhance ground-water levels. Charity must begin from home. Do we make an effort to finish off every drop of water/drink from our cup/glass? Shouldn't we strive to minimize water wastage? Every adult must be sensitized to use water optimally. Children must also know and let others learn about #CuttingPaani like in this video. Let us pledge to use water judiciously as we are privileged to have access water- that is unfortunately scarce and is a luxury for many human-beings and animals. Much progress can be made if we decide to save water. 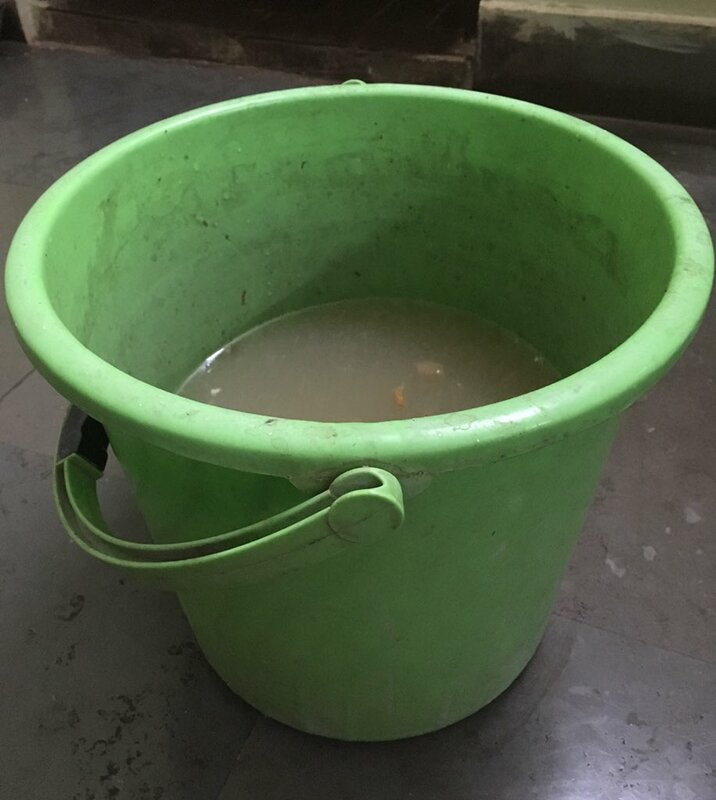 I don't throw the water after washing vegetables/fruits, Rice/Pulses, Tea-pan etc. Rather, I collect the same water in a bucket and water my plants. Every drop of water is precious. Every act to save water is like a drop in the ocean. Drops of water make an ocean. Now it is action time. Let us act and encourage everyone to act. Let us treat water with care. Do sign this petition and support the cause. Share your thoughts on the current situation of water conservation, and the future of water consumption in the world. 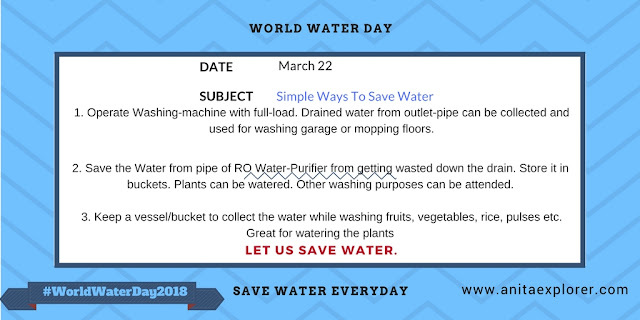 Why is it important for everyone to take action towards saving water? 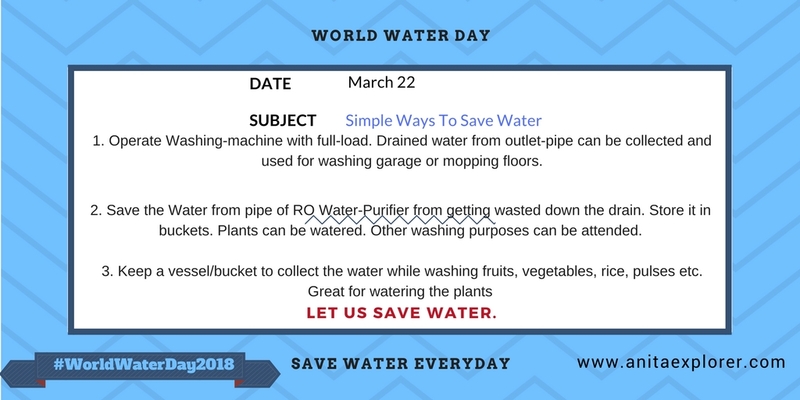 What is the best way to save water in our daily lives and how does it help create a positive impact? Every drop of water is precious . Well said and well written Anita but would like to take you to another direction . Natural resources are not being less but these are actually more and more and it is due to population . so if we want to preserve or save natural resources first we have to control population .